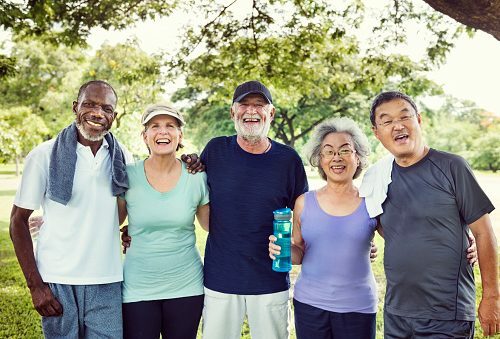 Cardiovascular disease mortality in elderly can be lowered with physical activity, according to research findings. Sitting for prolonged periods of time is well known to be harmful for health, but unfortunately majority of seniors live a sedentary lifestyle. A study aimed to examine the effects of exercise on seniors – based on heart disease mortality. The researchers looked at 2,465 Finnish men and women over the age of 65 who completed questionnaires between 1997 and 2007 assessing their lifestyle habits, including smoking and physical activity levels. The participants were followed until the end of 2013. The researchers consulted the Finnish mortality register to determine how many participants died. The researchers found that moderate to high levels of exercise were associated with a lower risk of heart disease and death from all causes, including heart attack and stroke. The researchers suggest that exercise works in numerous ways to improve mortality and cardiovascular outcomes by maintaining a healthy body weight, lowering blood pressure, reducing the risk of blood clots, stabilizing blood sugar, and improving cholesterol. The researchers suggest that for those living a sedentary lifestyle, incorporating moderate activity into daily life – for example, going for short walks – is a good way to reduce the risk of mortality and cardiovascular disease. Regular exercise keeps your heart strong. It doesn’t matter when you start exercising, it will still work to improve heart health. Meaning, even if you haven’t exercised in a while, you can start at any age and still benefit. Although it may be hard to start on an exercise program, once you do, it will become increasingly easier to carry on. There are different types of exercises for all abilities, such as aerobic exercises (that increase your heart rate and make you breathe harder), stretching exercises, and strength training. Moderately intense exercises should be completed for at least 30 minutes five times a week. More intense exercises can be performed less frequently. It’s always important, though, that you gradually work your way up to greater intensity and longer duration. Any type of exercise, regardless of intensity, should always include a warm-up (gradually increasing your heart rate and warming up the muscles to lower the risk of injury) and a cool-down. Always speak to your doctor before engaging in any physical activity, as you may have a condition that limits the range of exercises you can safely perform. Your doctor will be able to recommend the type of exercise that is best for you.